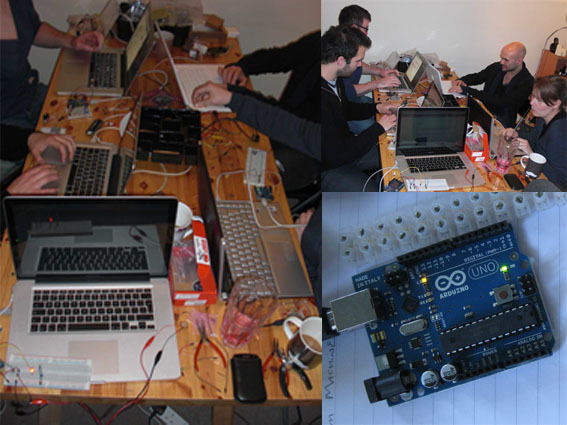 Recently we were lucky enough to delve into the world of Arduino programming, through a self organised hack and play session and a little help from James Leitch - Product Designer & recent graduate from Ravensbourne. As daunting as this seemed at first, it was quite an enjoyable day full of ‘pins’, blinking lights, electronic components and chocolate biscuits! This was a really good introduction to Arduino that has opened a multitude of possibilities for e-textiles and wearable technology.